Bikini top made out of gold that will make you wish you were blind! The ugliest bikini top you’ll ever see on the Red Carpet. There is no metal in world as rare yet as abundant as gold. From food made with gold, shoes, watch, bracelets, rings, cars, furniture, utensils to finally – bikini tops, it has definitely come a long way. People often like the idea of being surrounded by gold. So much so that they can sometimes go to extreme lengths to make it real. It does not go right every-time though. Huh? Just what can go wrong over some gold bikini top? 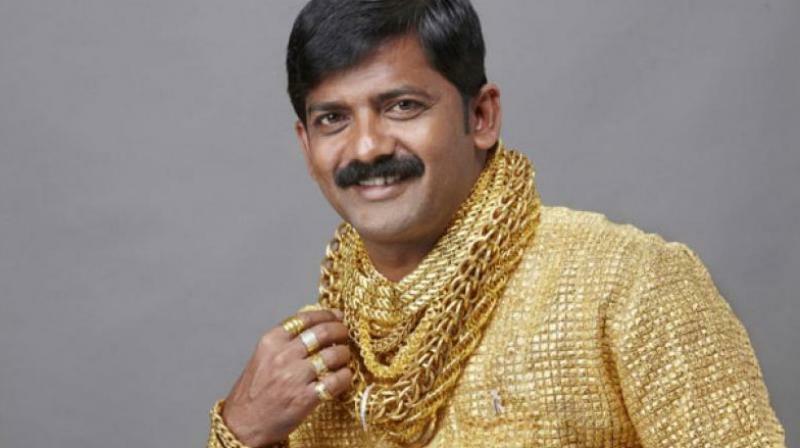 Gold man in his fabled outfit. Dattatray Phuge, also known as the gold man of India learned this the the hard way. Two years after the purchase of his now famous shirt, he was bludgeoned to death by his four nephews. Pretty bad way to go. But, it serves as a reminder that sometimes flaunting can go too far. This is why Zoe Kravitz made a bikini top out of gold. The lady knows that inside is safer than outside. Or so would have been the case but sometimes celebs like to bowl a lil far. Though, IMO she bowled quite far and missed the stumps entirely. What is essentially a glorified bra, the gold “bikini top” was out in the open without anything over it. She simply wore a golden bra and didn’t bother to put anything over it for the Oscars After-party. Now, this move is quite courageous. But that’s essentially the only thing going for her as only those visually challenged will find the bikini top to be superior over the other outfits. From Jennifer Lopez’s stunning gown to Gemma Chan’s shiny and frilly outfit. There were many superior choices over the gold bikini top. Arguably the best outfit. Jennifer Lopez proves she knows how to rock the Red Carpet. Gemma Chan looking like a stunning fairy. The very gorgeous Brie Larson. Heck, Billy Porter’s tuxedo gown looks far, far better than this bikini top. Even among the worst performers of the night like Chrissy Teigen’s muppet frill affair. Zoe Kravitz’s ugly bikini top stood out like a sore thumb on a baby’s hand. Quite a waste of gold I must say. 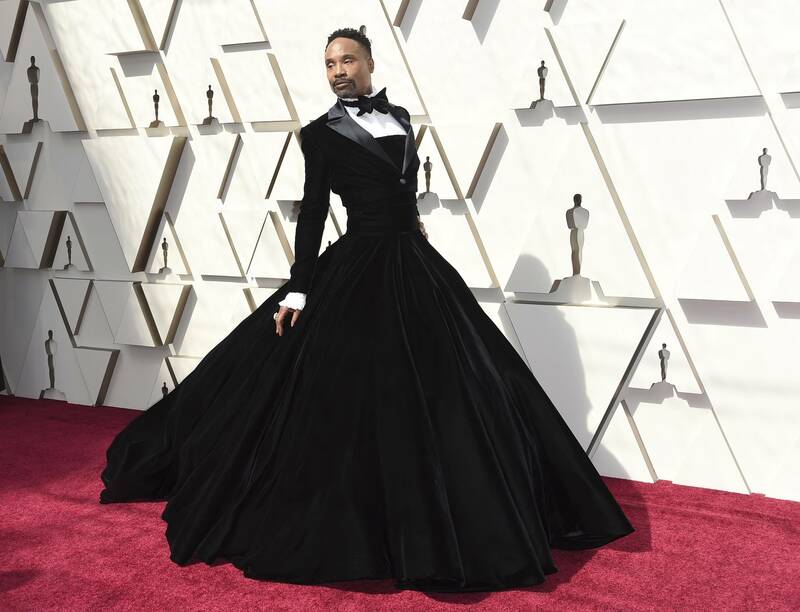 Billy porter rocking his fantastic Tux. The hairy Muppet aka Chriss Teigen.